Host was very friendly and willing to meet our needs when we arrived. He also took us on a guide to the local beaches. The bed mattresses were new and comfortable. The location is excellent. It's quiet and very family-friendly. It's a 2 minute drive to the beach (5-6 min walking). Villa Panorama it´s a very nice and quiet place with a friendly hostess. One thing I liked was the fact that I had acces to the pool and food services right next to Villa Panorama. You have the possibility to use the grill or relax in the garden enjoying your iced coffee. There are four beautiful beaches that are at a couple minutes distance by car. You can go by foot to a private beach that has amazing, clear water that reminds me of Caraibe. It really was a beautiful stay and I´m sure that next year I will come back for a longer period of time. Our stay was amazing. the view is great for sunset enjoyment. the host was very friendly and he also managed to assist us with forgotten stuff after we had left. we will definitely come again! The view was wonderful, Christos was very helpful. 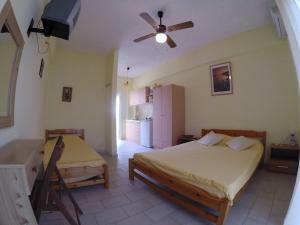 The area is very quiet and tavernas and beach are a couple of minutes drive away. You can use the facilities of hotel next door - we didn't but there is a pool and restaurant. Perfect area, very close to the beach(walking area), a lot of restaurants and taverns on a walking distance also very close to other beaches. Near the villa is a pool of one hotel with free acces. 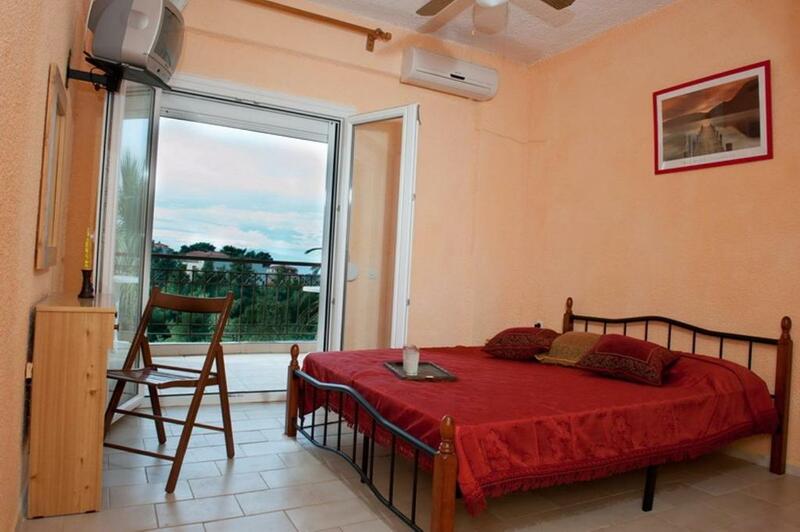 The view from the Villa Panorama Studios is worth 1 million euro. The host is a very kind and a very hospitalaty person. I will definitly do my holiday here next year. It is a great place, in a quiet area in Possidi. The access to the beach and the panorama were wonderful! We made a lot of great pictures in the area during our staying. The host is very friendly. He gave us some good tips regarding the beaches and the facilities to be found in the village. The room offers everything you need for a good accomodation. Perfect weather, good outside barbecue opportunity. 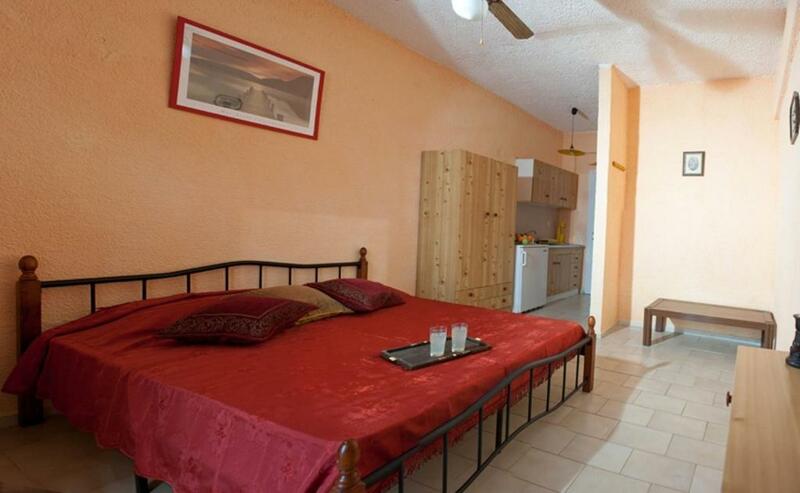 Short walking distance to different beaches. I liked the hospitality and that the sea was very clean. Inspite of the weather you can always find nice, calm beach. 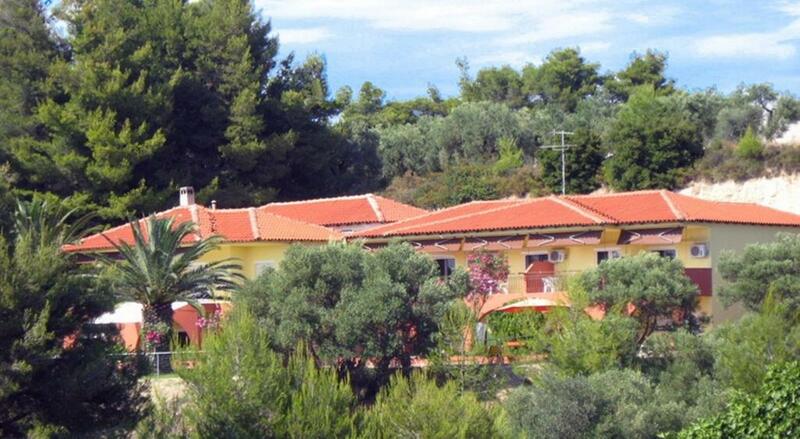 Vila Panorama is easy to find and it is a wonderful place for relaxation. Whether you like to cook your meals, make BBQ or enjoy the food at neighboring Thea Hotel - it is all there for you. 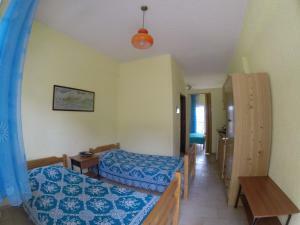 The room was clean and equipped with all that is necessary for a pleasant stay. I highly recommend Vila Panorama and every time I visit I am more pleased with the facilities and with the wonderful owner Christos. Lock in a great price for Villa Panorama Studios – rated 8.9 by recent guests! One of our best sellers in Possidi! Perched on a green hill, the family-run Villa Panorama Studios is located in Posidi of Chalkidiki, just 500 feet from the nearest beach. It offers self-catering accommodations with free Wi-Fi and views over the lush gardens or the Aegean Sea. Opening to a balcony or a patio, the studios and apartments of Villa Panorama have air conditioning, a ceiling fan and a TV. Each unit features a kitchenette with fridge, cooking hobs and a toaster, while some also include a seating and a dining area. The private bathroom comes with a shower. Guests can prepare their own breakfast or other meal and enjoy it at the comfort of their room. BBQ facilities are also available in the garden for al fresco dining. A sister property boasting a swimming pool and restaurant is 150 feet away. The center of Posidi, with its variety of restaurants, bars and mini markets, is located 1,000 feet from Villa Panorama Studios. Posidi Beach is 1,150 feet away. The seaside Kallithea Village is at 12 mi, while Thessaloniki City is 65 mi away. Free private parking is possible on site. 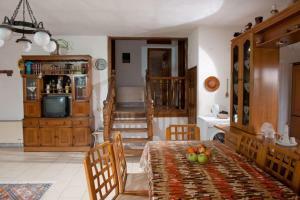 When would you like to stay at Villa Panorama Studios? This studio has a balcony, air conditioning and toaster. House Rules Villa Panorama Studios takes special requests – add in the next step! Bathroom and kitchen could use some updating. The hill is quite steep. The toilet/shower area could be bigger, shower was a bit cramped. The place is situated on a top of a hill. Climbing here takes a lot of effort. 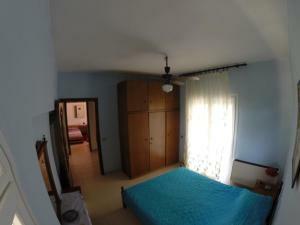 Fantastic location, perfect place to relax, so close to the beach, amazing clean water, it is also close to the center of Possidi The owner is very friendly and helpful,he really takes care of his guests The room is clean and comfortable You can go to the neighbouring Thea Hotel for dinner and breakfast, you can also use their swimming pool. - Christos is a great host. Very kind and helpful.